We're kicking off the week with some really sweet IKEA hacks we came across recently. From colouring fabric to some cool built-in's. Check them out below and happy monday! 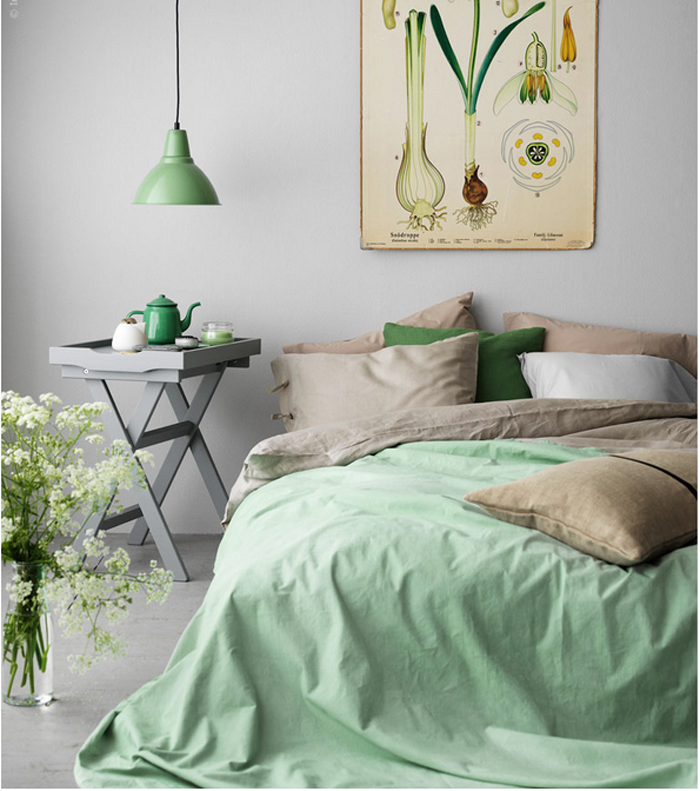 If you can't find the exact colour you're looking for, you can always dye things like Livet Hemma did to some white DITTE fabric from IKEA. Get the how-to here. 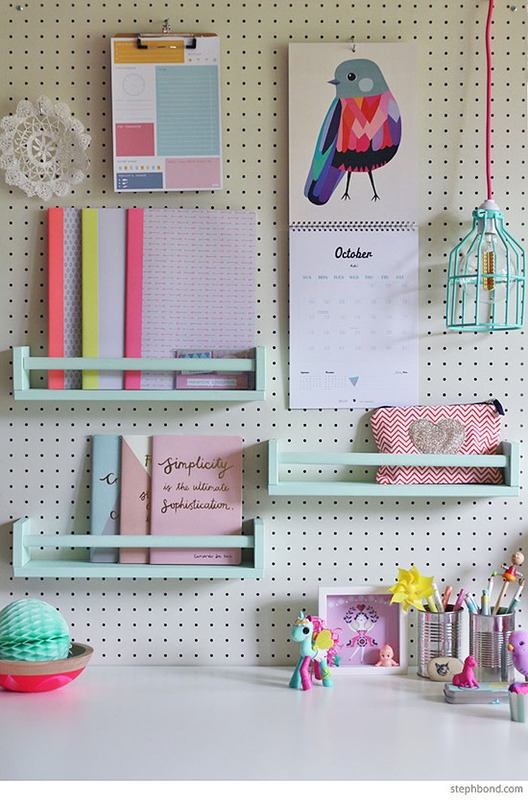 A clever idea using a BEKVAM spice rack and a pegboard to create book shelves. More info from Bondville. Add moulding to the new BILD map poster, they also have a bus scroll print that could be used as well. More info from Livet Hemma. 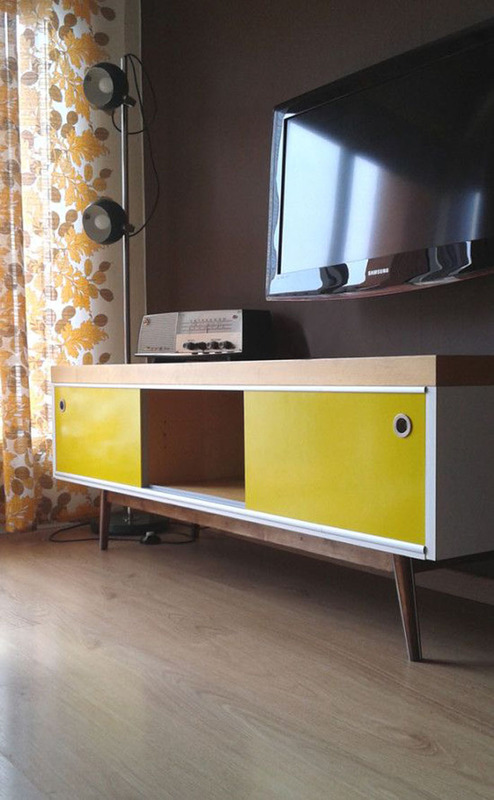 Turn an old LACK TV stand model into a Scandinavian mid-century-style sideboard. Via IKEA Hackers. 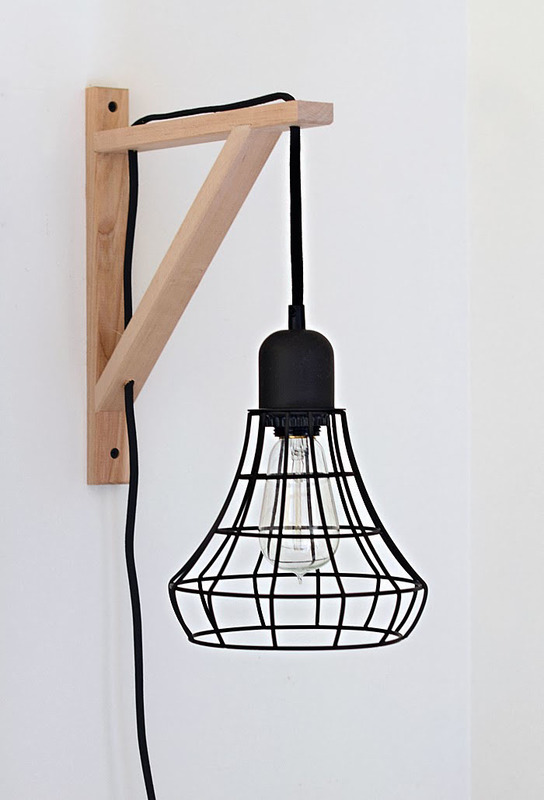 A clever idea using the Threshold Industrial Plug-In Pendant and an IKEA EKBY VALTER Bracket. How to from Nalle's House. 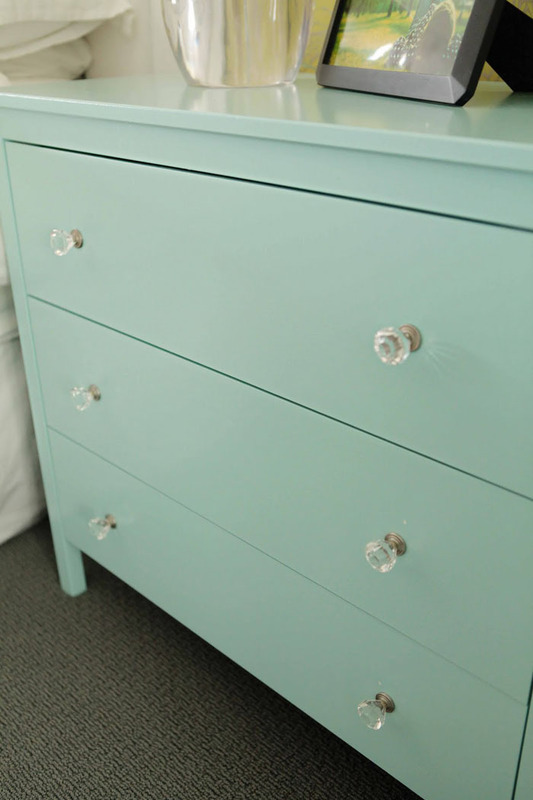 An as-is KOPPANG chest of drawers gets some knicks fixed with a new coat of paint and pretty knobs for a nice minty makeover. Visit Beach House in the City for more info. 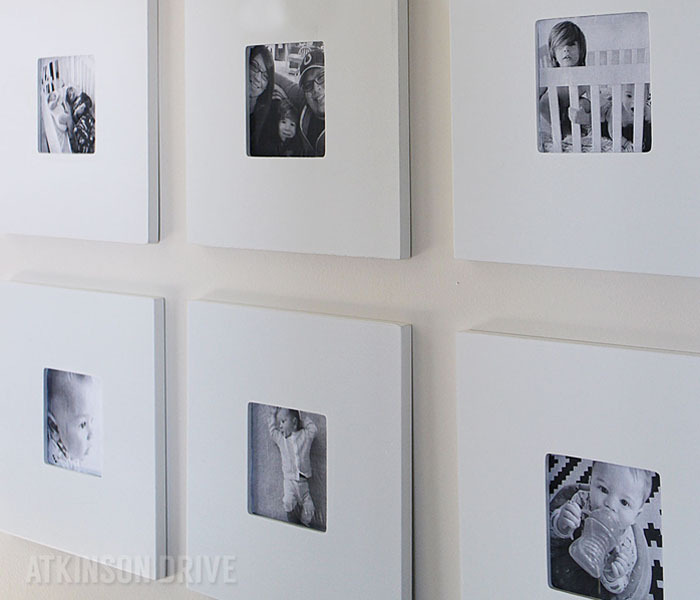 $1.99 MALMA Mirror frames become picture frames with this clever idea from Atkinson Drive. The entire gallery cost only $20. Click here to see. A really nice example of a built-in using BORGSJO Bookcases by Avery Street. Click here for the details. 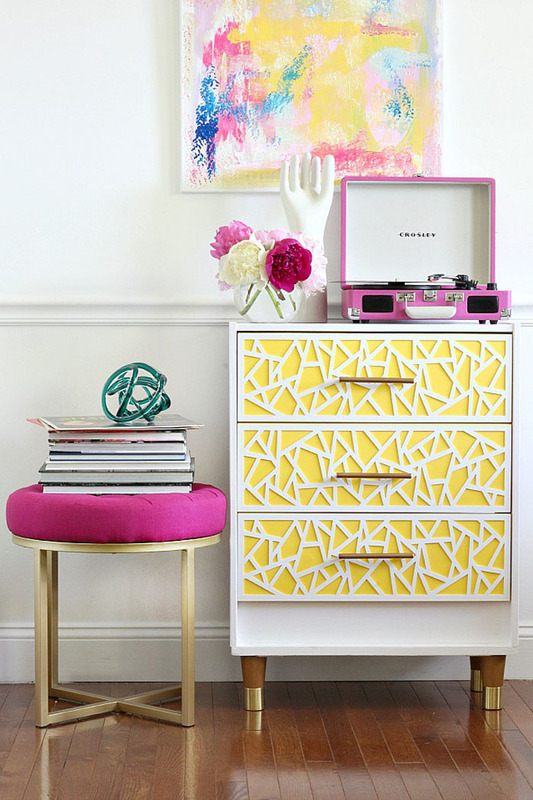 A colourful and inspiring idea using an unfinished RAST chest of drawers. Get the how-to from Bliss at Home. These are all crazy good, fresh ideas! Great round up. Oh I looooove the cage light sconce hack! 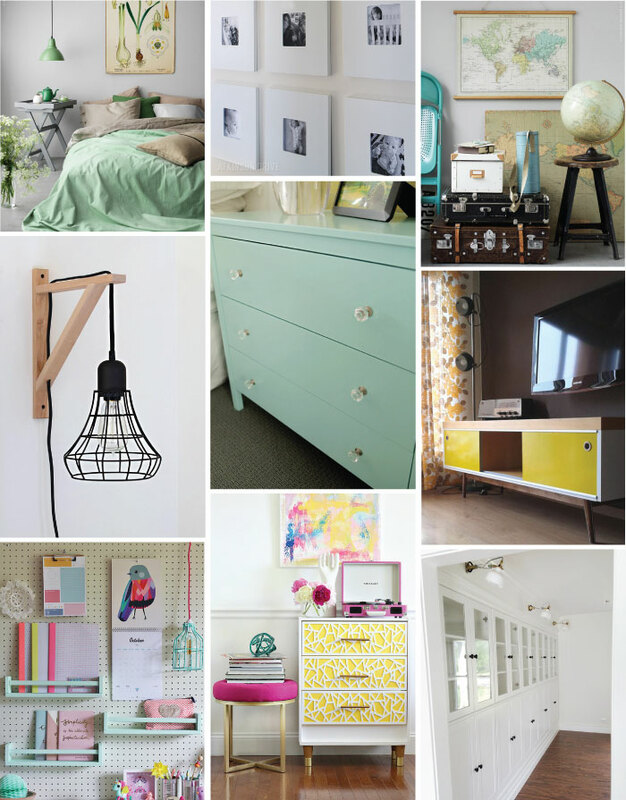 I love the minty chest of drawers and the last hack it's lovely! 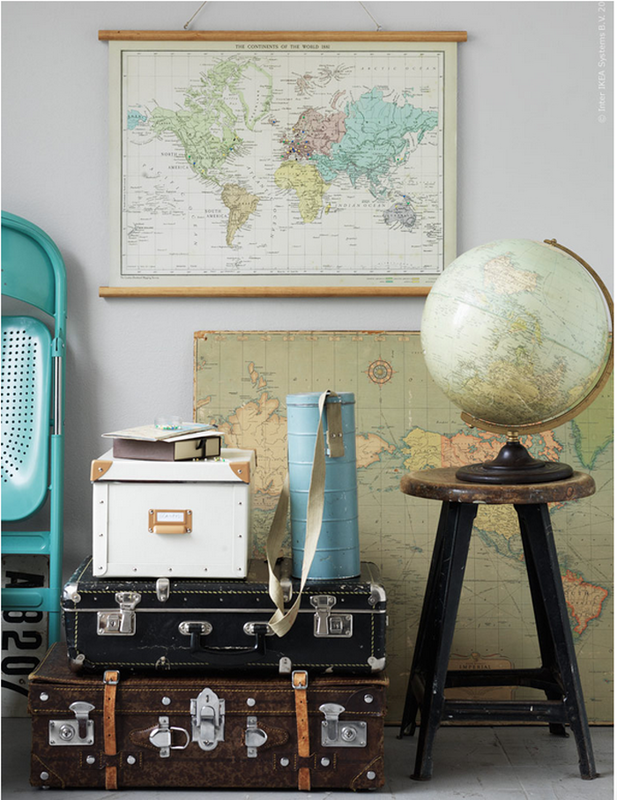 I have the same record player and i was looking for ideas on how to place it in the room! So pretty!